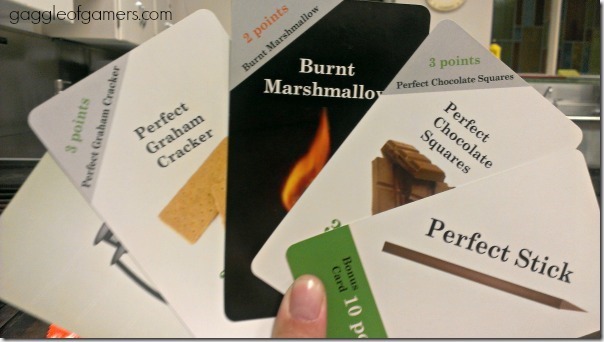 The game for camp lovers – S’mores! As any true camper knows, a s’more is made with two graham crackers, chocolate and a marshmallow. That’s what you need to win this game, all the ingredients. When it’s your turn, simply pick up a card from the pile, or ask any player to “Fan-Em” and you can choose one of their cards randomly. If you pick from the pile, you must discard after your turn. 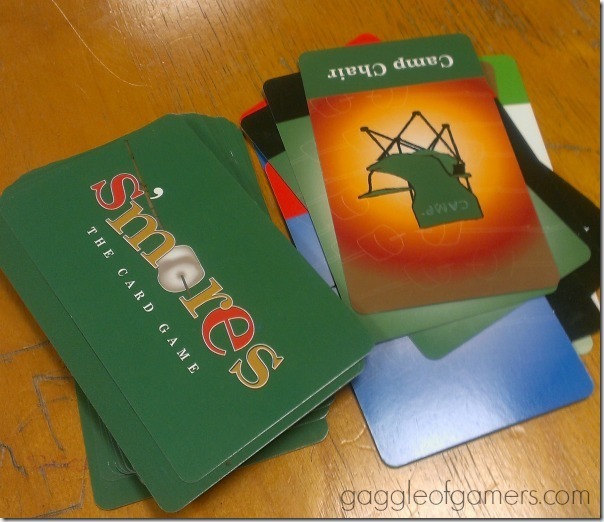 If you choose from a player’s hand, you give one of your cards to them. First to get a ‘S’more (two graham crackers, marshmallow and chocolate) yells S’more! Overall the game was great. Very easy and quick and fast paced. It’s nice to have a game you can play if you only have a little bit of time. Our group of 6 Girl Guide leaders played it after the kids were in bed at our Spark and Brownie Sleepover over the weekend. S’mores is the PERFECT camping game. There were a few things that we found confusing or difficult but they were minor. The cards are big which makes them easier to read but harder to shuffle. 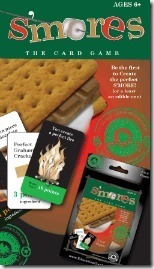 The instructions say the first person to make a s’more wins and that the points are only if two or more people get a s’more at the same time. In that case, the person with the most points would win. However playing with 6 people over and over, never once did two people get s’mores at the same time. Since we all take our turns separately, the only way we could think of that scenario happening was if you take a card from another player and that card completes your s’more and the card you hand over completes their s’more too. But that’s highly unlikely. So we made our s’mores with low point cards because it didn’t matter. 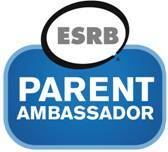 We felt that there should be a scoring system where the player who completes a s’more adds her score and records it. Or perhaps everyone gets points for their ingredients after each round but only the person who completes the s’more can claim extra points? We also felt some kids younger than 6 could manage the game as they don’t need to read the cards, especially if you don’t worry about points. Even a 4 or 5 year old could recognize the ingredient on the card. 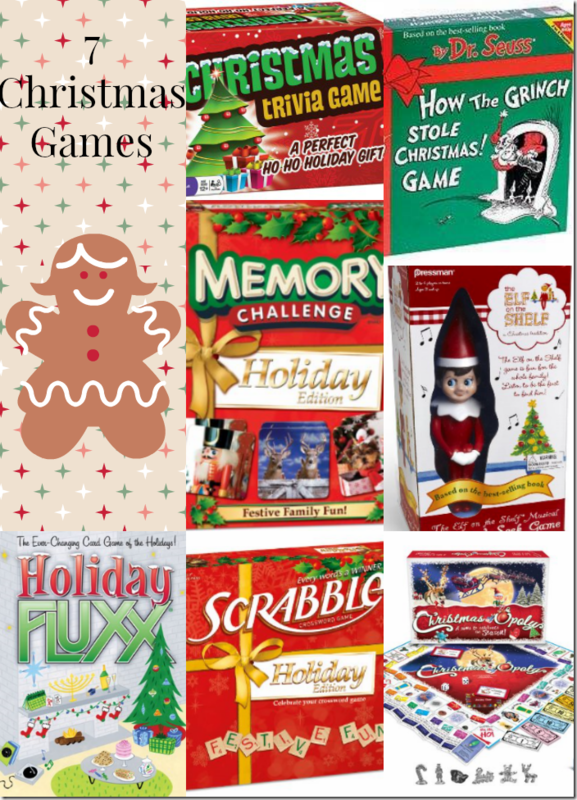 It makes a great Family Game Night game! Disclosure: A friend owns this game. We played it and I shared my opinion. That’s it! Exactly. As much as I love strategy games, sometimes it’s nice to play something simple. That’s pretty cute and would make a great gift! What a cute game! My parents used to rent seasonal lots at a campground every year when I was a kid, and we would always spend our nights playing games by the fire. This would be perfect!